Thu., July 26, 2018, 8 a.m. Credits: Directed by Aaron Horvath and Peter Rida Michail, with the voices of Scott Menville, Kristen Bell, Khary Payton, Hynden Walch, Greg Cipes, Tara Strong, Will Arnett, Nicolas Cage. Compared to their dark and dour live-action brethren, the Warner Brothers/DC Comics animated features are a breath of fresh air. Much like “The Lego Batman Movie” (which one could argue is the best Batman movie – full stop), the wild, wacky and self-aware “Teen Titans Go! To the Movies” bursts onto the screen like an attention-addled sugar rush. It absolutely nails the humor and self-referential material that is so sorely lacking from the likes of “Batman Vs. Superman.” So yeah, it is possible to make a funny DC Comics movie. 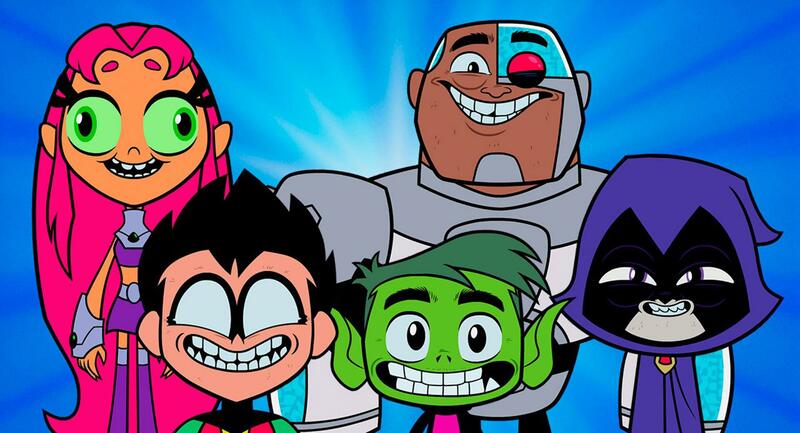 Based on the wildly popular and long-running Cartoon Network series “Teen Titans Go!,” the feature film adaptation is directed by Aaron Horvath and Peter Rida Michail, written by Horvath and Michael Jelenic. “Teen Titans Go! To the Movies” is a deliriously demented and gleeful skewering of DC Comics characters, superhero movies and Hollywood in general that’s one long inside joke – with musical numbers! It’s a classic story of big Hollywood dreams, wherein Robin (Scott Menville) goes on a quest to attain what seems impossible – a meeting with a big-time movie director, Jade Wilson (Kristen Bell). He wants to be a real superhero, along with his crew, the Teen Titans: Cyborg (Khary Payton), Starfire (Hynden Walch), Beast Boy (Greg Cipes) and Raven (Tara Strong). Based on anecdotal evidence, Robin deduces the way to be taken seriously as a real superhero is to have a movie made about you. And to be a real superhero and have a movie made about him, he needs an archnemesis – enter Slade (Will Arnett). Published: July 26, 2018, 8 a.m.